You think the TRE 6 speed build was worth it? I’m still leaning towards sending my speed trans there to get built. I’m running about 540hp in my EVO. mine stopped going into third for some reason. I posted about it here and didnt get any info. Im about to drop it and see if i can figure out why. I plan to keep it. Got it apart a few days ago and the 3-4 synchro spring failed and worked its way out. Trans looks great inside otherwise. I read the diy rebuild thread. Does anyone have any other pointers or upgrades I can do while it's apart? I'm going to attempt to fix it myself. Last I checked, you could buy a hardened gear set. I forget which vendor had them, though. 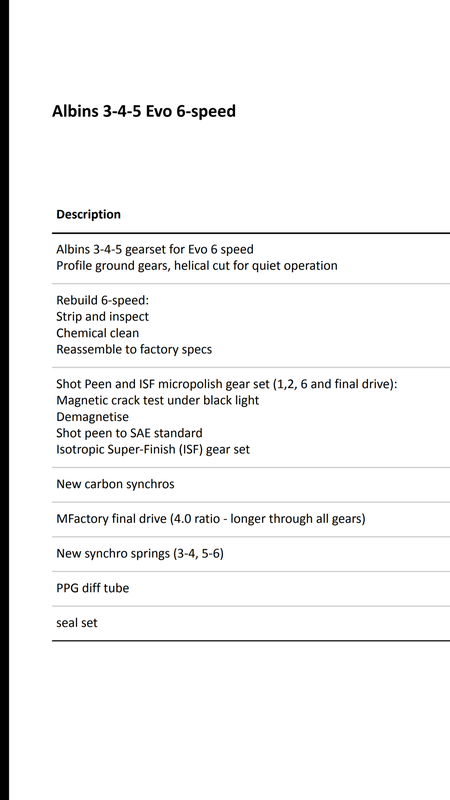 Albins here in Australia do the gearset. Unsure if you can buy direct or not though? Ive been thinking about dropping the $$$ on it but its damn expensive! 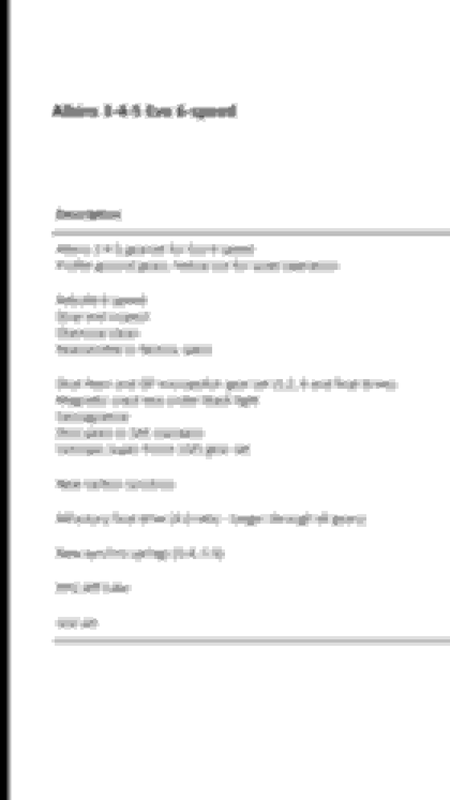 But heres the list of what i was quoted on to basically build the strongest 6 speed possible. Jacks sells the gears but they’re $2000 so I’m going to wait on that one. Here’s what I found when I removed the case. I’m going to finish my 2.4 then dig into the trans. My 6spd grinds going into 3rd and 4th and now is hard to slide between 2nd/3rd. I want to keep it... But I think a rebuild will be more $$$$ than I'm willing to pay. Between the Albins gears, synchros, and the fact that some parts can't be purchased separately (having to buy an entire shaft in summer cases) aaand the 6spd has to be shipped freight (more $$$), I'll probably just toss in my 5spd. What I'm trying to find out is who is the highest HP EVO 8 or 9 with a 6 speed trans still in the car. Wanting to see what's numbers your putting down, and are you having any problems with your trans at that power level? what are you doing to prevent any problems, hope the true 6 speed lovers will chime in, because I know there are people out there saying 6 speed is weak go with 5 speed, but I know there is some big number 6 speeds out there. I have as of right now 348hp and 305tq. With the power I have in my EVO I have never once had a problem with my trans. Trying to find out more info, because I'm about to do a big build, and probably make power more along the lines 550+, and wanna still keep the 6 speed. 420/390ish, trans is just fine shifts like butter! 170k, maintenance is key, change oil early. Does anyone have any experiences with the 6 speed Trans Service from TRE? If so, how's it holding up? i do. was for peace of mind more than anything. i only make 300whp or so but i'm planning to do more and more track time as time goes on. really not much to comment on it. 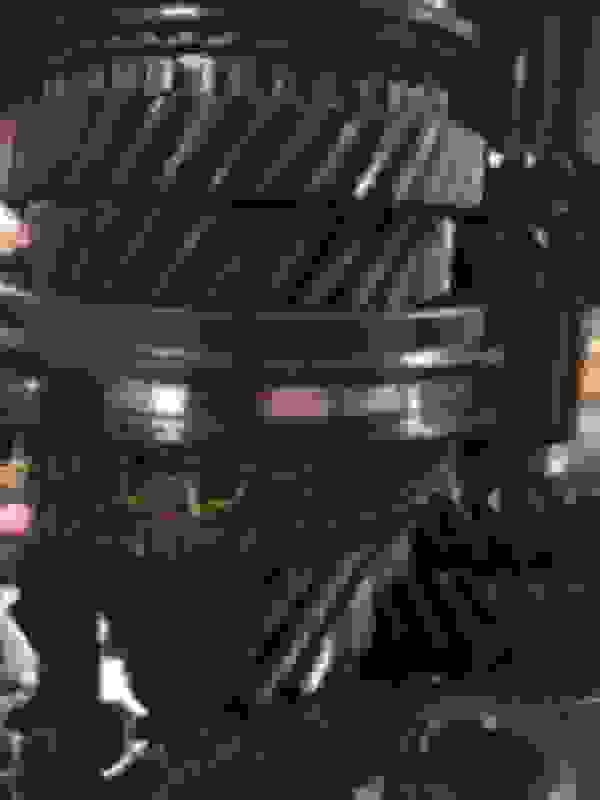 i know he shot peens the gears, cleans everything up, adds/enlarges oil passages, etc. no issue to speak of thus far, shifts great, etc. What are you making for power and what do you do with the car? As Kyoo mentioned one thing that Jon(TRE) does that other trans builders dont is shot peen the internals which do add strength. he has other tricks too which help them last. 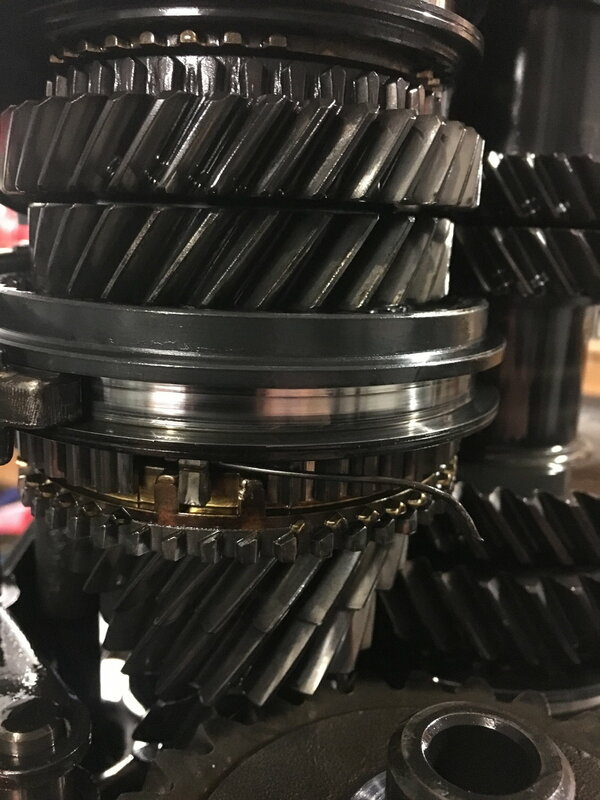 At the end of the day the 6 speed will always be weaker than the 5 speed but if youre looking to add some piece of mind or freshen up your 6 speed or any other drivetrain parts for that matter TRE is the place to go. He may not be the cheapest but his work speaks for itself. I'm currently making about 360 hp and around 400 tq on 2.3L block and aftermarket clutch. My Evo is pretty much just a nice weather weekend warrior, but I plan to upgrade the turbo and maybe push at least 500+ hp and 450-500 tq. I like the 6 speed so I was just wondering if just rebuilding/strengthening it will be fine or not? So I've pulled the trigger on a built 6 speed. Its due in about a months time hopefully. We are coming up with a 4.3 final drive ratio so its a tad taller than factory with a OS Giken RC2D going in. Will report back when its back in the road.